As diferenzas entre o tántalo e o niobio foron demostradas de forma concluínte en 1864 por Christian Wilhelm Blomstrand, Henri Etienne Sainte-Claire Deville e Louis J. Troost, que determinaron as fórmulas dalgúns dos compostos en 1865, e finalmente polo químico suízo Jean Charles Galissard de Marignac en 1866, que probou que realmente só eran dous elementos. Aínda así, os artigos científicos referidos o ilmenio continuaron publicándose ata o ano 1871. ↑ 6,0 6,1 Peiniger, M.; Piel, H. (1985). "A Superconducting Nb3Sn Coated Multicell Accelerating Cavity". Nuclear Science 32 (5): 3610. Bibcode:1985ITNS...32.3610P. doi:10.1109/TNS.1985.4334443. ↑ 8,0 8,1 8,2 8,3 8,4 8,5 8,6 8,7 Nowak, Izabela; Ziolek, Maria (1999). "Niobium Compounds: Preparation, Characterization, and Application in Heterogeneous Catalysis". Chemical Reviews 99 (12): 3603–3624. PMID 11849031. doi:10.1021/cr9800208. ↑ 16,0 16,1 16,2 16,3 16,4 Gupta, C. K.; Suri, A. K. (1994). Extractive Metallurgy of Niobium. CRC Press. pp. 1–16. ISBN 0-8493-6071-4. ↑ 18,0 18,1 18,2 18,3 18,4 Patel, Zh. ; Khul'ka, K. (2001). "Niobium for Steelmaking". Metallurgist 45 (11–12): 477–480. doi:10.1023/A:1014897029026. ↑ 19,0 19,1 19,2 19,3 Soisson, D. J.; McLafferty, J. J.; Pierret, J. A. (1961). "Staff-Industry Collaborative Report: Tantalum and Niobium". Industrial and Engineering Chemistry 53 (11): 861–868. doi:10.1021/ie50623a016. ↑ 22,0 22,1 22,2 Kouptsidis, J; Peters, F.; Proch, D.; Singer, W. "Niob für TESLA" (PDF) (en alemán). Deutsches Elektronen-Synchrotron. Arquivado dende o orixinal (PDF) o 17 de decembro de 2008. Consultado o 2 de setembro de 2008. ↑ 26,0 26,1 26,2 Magyar, Michael J. (2007). Niobium (Columbium) (PDF) (Informe). United States Geological Survey. ↑ 31,0 31,1 31,2 Georges, Audi; Bersillon, O.; Blachot, J.; Wapstra, A.H. (2003). "The NUBASE Evaluation of Nuclear and Decay Properties". Nuclear Physics A (Atomic Mass Data Center) 729: 3–128. Bibcode:2003NuPhA.729....3A. doi:10.1016/j.nuclphysa.2003.11.001. ↑ 34,0 34,1 34,2 34,3 34,4 34,5 34,6 Holleman, Arnold F.; Wiberg, Egon; Wiberg, Nils (1985). "Niob". Lehrbuch der Anorganischen Chemie (en alemán). Walter de Gruyter. pp. 1075–1079. ISBN 3-11-007511-3. ↑ 40,0 40,1 Agulyansky, Anatoly (2004). The Chemistry of Tantalum and Niobium Fluoride Compounds. Elsevier. pp. 1–11. ISBN 978-0-444-51604-6. ↑ 49,0 49,1 Noyes, William Albert (1918). A Textbook of Chemistry. H. Holt & Co. p. 523. ↑ 52,0 52,1 Wollaston, William Hyde (1809). "On the Identity of Columbium and Tantalum". Philosophical Transactions of the Royal Society 99: 246–252. JSTOR 107264. doi:10.1098/rstl.1809.0017. ↑ 56,0 56,1 56,2 Marignac; Blomstrand; Deville, H.; Troost, L. & Hermann, R. (1866). "Tantalsäure, Niobsäure, (Ilmensäure) und Titansäure". Zeitschrift für analytische Chemie (en alemán) 5 (1): 384–389. doi:10.1007/BF01302537. ↑ 61,0 61,1 61,2 Geballe, T. H. (1993). "Superconductivity: From Physics to Technology". Physics Today 46 (10): 52–56. Bibcode:1993PhT....46j..52G. doi:10.1063/1.881384. ↑ 65,0 65,1 65,2 Rayner-Canham, Geoff; Zheng, Zheng (2008). "Naming elements after scientists: an account of a controversy". Foundations of Chemistry 10 (1): 13–18. doi:10.1007/s10698-007-9042-1. ↑ 74,0 74,1 Heisterkamp, Friedrich; Tadeu Carneiro (2001). Niobium: Future Possibilities – Technology and the Market Place. Niobium Science & Technology: Proceedings of the International Symposium Niobium 2001 (Orlando, Florida, USA) (Minerals, Metals and Materials Society). ISBN 9780971206809. ↑ 80,0 80,1 Hebda, John (2 de maio de 2001). 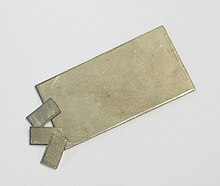 Niobium alloys and high Temperature Applications. Niobium Science & Technology: Proceedings of the International Symposium Niobium 2001 (Orlando, Florida, USA) (Companhia Brasileira de Metalurgia e Mineração). 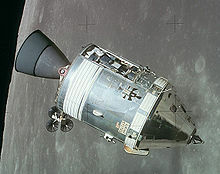 ↑ 113,0 113,1 Haley, T. J.; Komesu, N.; Raymond, K. (1962). 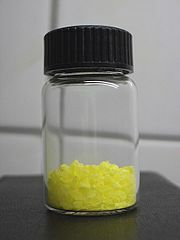 "Pharmacology and toxicology of niobium chloride". Toxicology and Applied Pharmacology 4 (3): 385–392. PMID 13903824. doi:10.1016/0041-008X(62)90048-0.